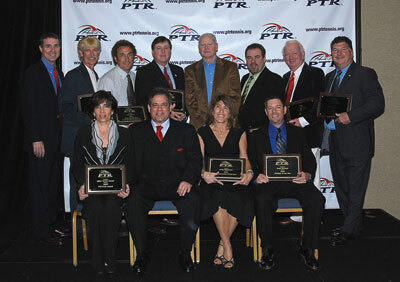 Hilton Head Island, SC — Professional Tennis Registry (PTR) presented its annual awards this week during the 2009 PTR International Tennis Symposium. The event, which includes 60-plus on court and classroom presentations, a tennis trade show and $25,000 Championships is being held February 14-20, 2009, at Van der Meer Shipyard Racquet Club on Hilton Head Island, South Carolina. For more specific information about a recipient, please email your request to peggy@ptrtennis.org.